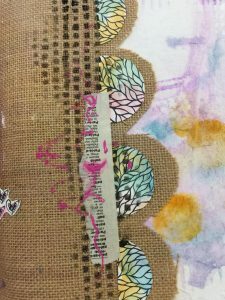 Instructor: Christy Wood Bring your journals, black Stabilo® pencil, white gesso, paint brushes, glue stick, scissors, a bit of wax paper and gloss gel/gel medium for gluing. All paint, stencils, stamps and paper will be provided. Christy explores techniques she has learned from various instructors she’s had the chance to work with -- and adds a twist or two of her own. She explores a new set of techniques each month!